Nashville, Tenn. (September 27, 2016) - Kellie Pickler, Randy Houser and Chuck Wicks will join Darryl Worley in headlining the 15th Annual Tennessee River Run concert in Savannah, Tennessee next weekend. Additional performers include James Robert Webb, Alyson Greene, the Marshall Lowry Band, the Bryan Moffitt Band and Dead Horse. The concert is one of many events that will raise money to help fund projects of the Darryl Worley Foundation. Organizations that have benefited from the foundation include The Leader In Me program, the Darryl Worley Cancer Treatment Center, St. Jude Children's Research Hospital, and the Cystic Fibrosis Foundation, among others. "We've managed to do a lot by the grace of God over the past 15 years," notes Worley. "We're having the biggest years of fundraising now just because we've learned how to do it. It's just a very positive thing that we've been able to accomplish." 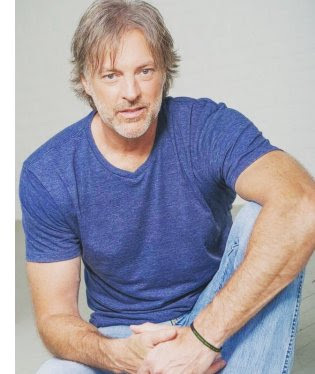 On Friday, October 7 at 6:00 PM, Worley will host the Darryl Worley and Friends Songwriters in the Round Gala, a special dinner event at the home of Mayor and Mrs. Bob Shutt in Savannah. Each year, guests listen to the stories behind the hit songs, while they enjoy an intimate performance under the stars. Sponsorship levels are $1,500 for a 10-seat table, which includes a meet-and-greet with the artists, and $900 for an eight-seat table. Individual tickets are $100. To sponsor or secure tickets, individuals may call 731-926-2667. A 5K race will be held on Saturday, October 8 at Pickwick Landing State Park beginning at 8:00 AM. Later that morning at 10:00 AM, the Motorcycle Poker Run at Parris Elementary School hits the road. Prizes will be awarded at the final stop. The live music will begin on Saturday at 2:00 PM, in downtown Savannah. Gates will open at noon with vendors offering food and crafts for guests. The $25 tickets (free admission for children 12 and younger) may be purchased online at tnriverrun.org or by phone at 866-484-3877 or 731-926-2667.